What you should be looking at is cost vs. benefit. Are any of those extra tools going to allow you to create new customers? Will they stream line production allowing you to work more efficiently? As a business you have to separate the needs from your wants if you want to run a successful business. That being said, the air brush looks like it would have the most practicality. I agree with kakeladi and the canadian160, it basically depends upon your decorating style. Personally, I would never invest in a printer because quality printed sheets can be obtained from several on-line sources. To make an edible printer worthwhile, it must be used regularly or the ink will dry up. 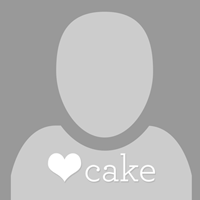 I have a Cricut Cake (bought cheaply from a neighbor who never used it) and use it for letters, but nothing else. If you love silhouettes on a cake and do not feel comfortable doing them freehand, you might enjoy using a cutting machine. For me, it is another NO. I have a brand new airbrush set that I have yet to try (again, bought cheaply from another decorator who had never used it) but anticipating using frequently because of my style of work, sculpted and painted cakes. An airbrush is quite versatile, so that's where I would put my money. You make a good point. For.me it's about getting new client, being competitive and improving the quality of my product. So airbrush is the way to go for now.